By taking necessary sun protection precaution by applying sunblock SPF 30 and above, you may resume normal activities after peeling. The result is the baby like skin again. Vitamin C is known to be the most natural way to lighten and prevent pigmentation, promote collagen production, anti-aging and repair sun damage on the skin. VITAMIN C Iontophoresis is the most effective way to penetrate vitamin C deep into the skin without needles. Pure concentrated Vitamin C is applied to the whole face, after which a patented gentle electric wave is used to boost maximum penetration of up to 20 times into the skin. The treatment facial enhances skin clarity, even out unsightly marks, and lighten the complexion. It is relaxing and safe and you may do the treatment every week or every month for maintenance of healthy. Vitamin C Iontophoresis is highly recommended for sensitive, blemish-prone or pigmented skin. Transderm HydraFacial s a non-invasive, multi step treatment that combines the benefits of microderrmabrasion with a special delivery technique called electroporation to penetrate Antioxidants, Hyaluronic Acid and Peptides deep into the dermal. Microdermabrasion removes dead skin cells and extracts impurities while simultaneously bathing the new skin with cleansing, hydrating and moisturizing serums. The treatment is soothing, refreshing, non-irritating and immediately effective. Antioxidants hold the key to skin cell defense & repair. 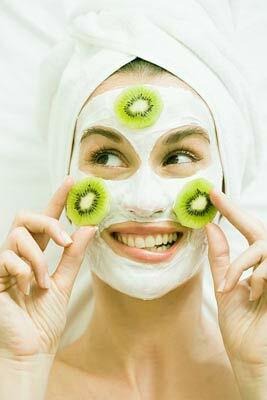 It neutralise the free radical in the skin caused by UV exposure etc. Peptides are links of amino acids that boost collagen and elastin production. Hyaluronic Acid is naturally produced by the body and gives skin its volume and fullness. A lack of Hyaluronic Acid can lead to a decrease in the elasticity of your skin. HydraFacial MD® utilizes a special low molecular weight Hyaluronic Acid that plumps and deeply hydrates the skin like no other. Why is Hydrafacial important to us? Hydration is the foundation of healthy, radiant skin. Irritation of the skin has been proven to increase signs of aging.The HydraFacial MD is a hydrating and non-irritating treatment. Many clients report seeing visible skin refinement and an even, radiant skin tone after just one treatment. We don’t believe in quick fixes, so one treatment per month is recommended for improving the appearance of fine lines, wrinkles, hyperpigmentation, oily and congested skin. Continued HydraFacial treatments are highly recommended to maintain skin health results.